N Bits Institutes is looking for Digital Marketing in Hyderabad. Interested candidates can apply for the job. For any details contact: 9676461869. Marolix Technology Solutions Pvt Ltd is looking for Digital Marketing at Hyderabad. Interested Candidate can apply for the job. Openings on: 1.Php 2.Android 3.Java 4.Digital marketing. Benfie Consultancy Pvt. 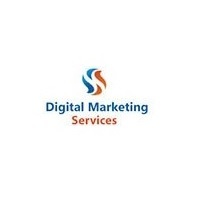 Ltd. is looking for Digital Marketing Expert at Indore. Sani IT Consultant is looking for Talented, Creative and Self Motivated members to join in their Digital Marketing Interns team.for the following position for 3 months and if you perform well, you will get hired as a permanent employee after your internship in our company. Let’s Connect Lens is looking for awesome and creative minds for Marketing Interns.